Ronald Collins is the Harold S. Shefelman Scholar at the University of Washington Law School. Collins was a scholar at the Washington, D.C., office of the First Amendment Center, where he wrote and lectured on freedom of expression, and where he is still a senior fellow. His journalistic writings on the First Amendment have appeared in Columbia Journalism Review, the New York Times and the Washington Post, among other publications. He is the book editor of SCOTUSblog. 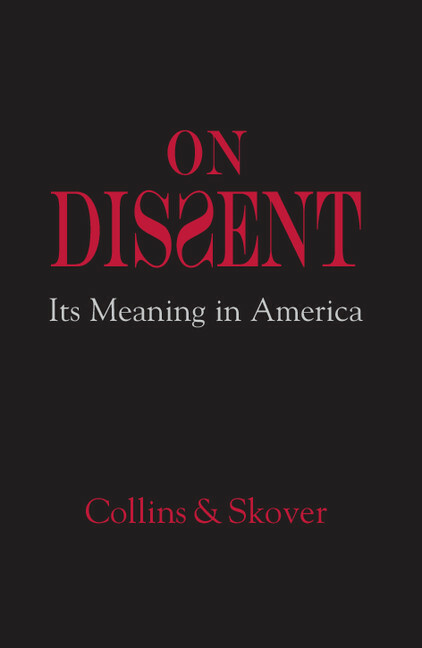 He is the author of Nuanced Absolutism: Floyd Abrams and the First Amendment (Carolina, 2013), co-author of On Dissent: Its Meaning in America (2013) and We Must Not Be Afraid to Be Free (Oxford, 2011), and editor of The Fundamental Holmes: A Free Speech Reader (2010).